Neuroscience and You! Raising Public Awareness of the Brain! Hey, You Touched My Brain! Can You Guess What Your Brain is Thinking? Brains, Hearts, Eyes and More!!! Can Vibration Detection be Used to Determine Joint Health? Your Pee is on Drugs- But We Can Fix It! High Touch High Tech, Inc.
How Does Your Brain Talk? Learn the Science and Technology Behind Our Vehicles! ENCOUNTER ZONE, brought to you by Emory University: Encounter herbs and microbes, measure Atlanta’s pollen count, and create Minecraft code. 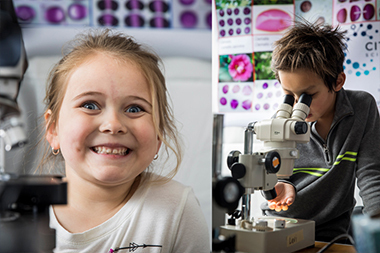 DISCOVER ZONE, brought to you by Mercer University & Mercer Health Sciences Center: Discover the microscopic world, battle bots, and chemical reactions. INVENT ZONE, brought to you by Georgia Tech: Invent your own music by coding, touch a brain, touch a heart, peep at physics, drive an underwater robot! THRIVE ZONE, brought to you by Georgia State University: See how native plants and pollinators thrive, fold origami, and become a ham radio operator. STEAM ZONE: Express your love of science with a science haiku, paint a piece of the live mural, and get your science caricature portrait! 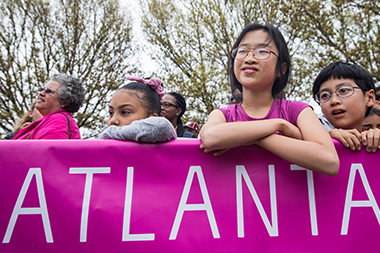 At precisely 12:00pm, thousands of pink ping-pong balls will launch into the skies, harbingers of the day’s science celebrations. 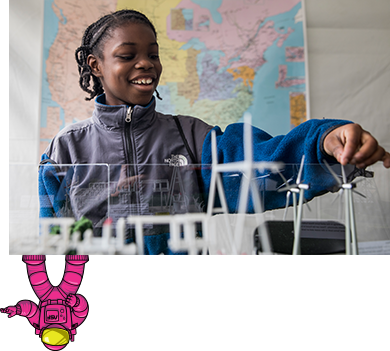 Grab a whirligig from the pink-shirted volunteers and help us countdown to an explosion of science in front of the Delta Air Lines tent. Sponsored by Emory University, a proud founder of Atlanta Science Festival. 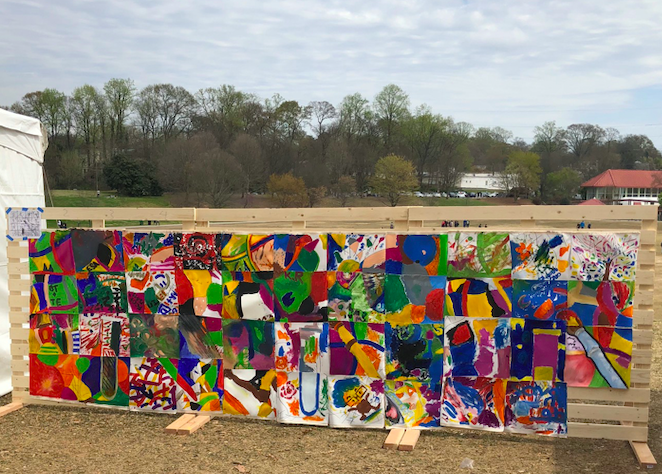 Contribute to our live mural with Science.Art.Wonder! 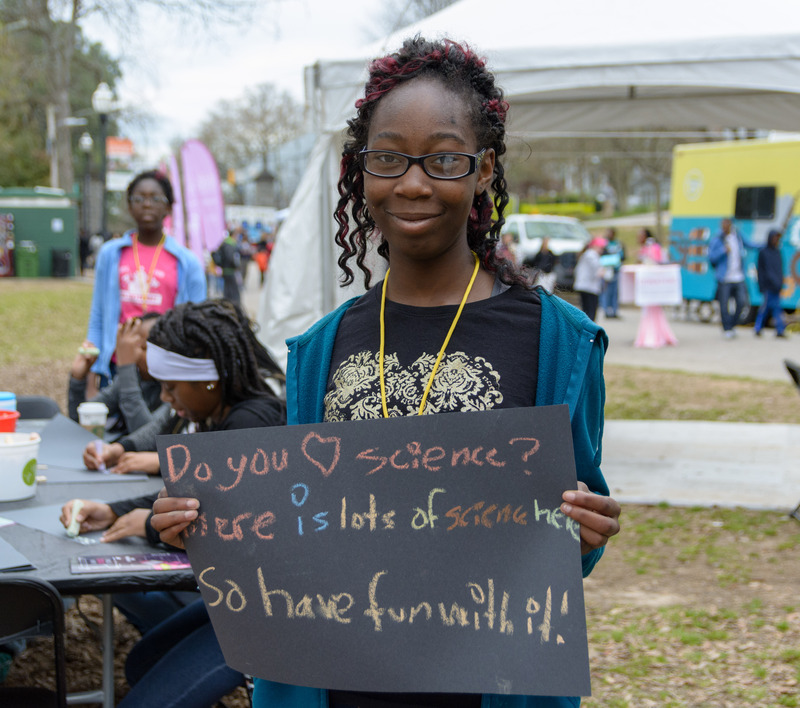 Express your love of science through haiku with Guerilla Sciku! Contribute to the Pollen Map of Atlanta with Emory’s CitizenScienceHD. Learn how to code with Google’s Computer Science First Coding Workshop! 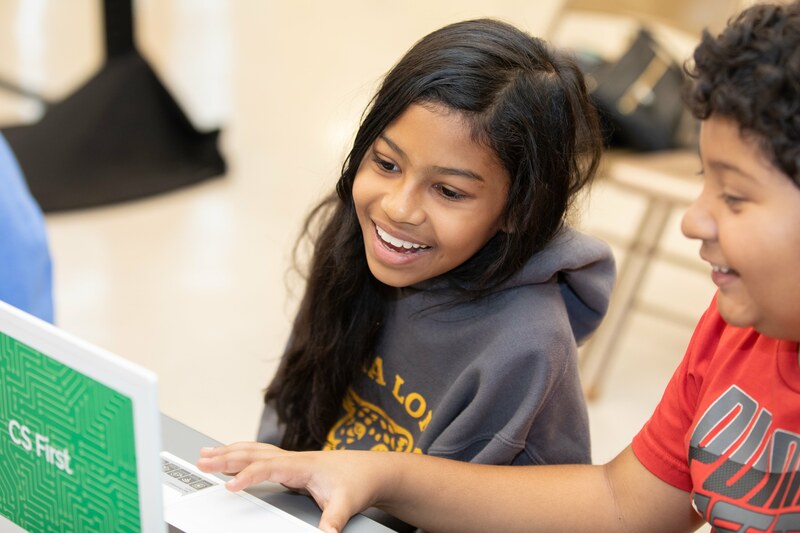 Get the basics of coding with classes for middle-school aged children taught by local Google engineers. 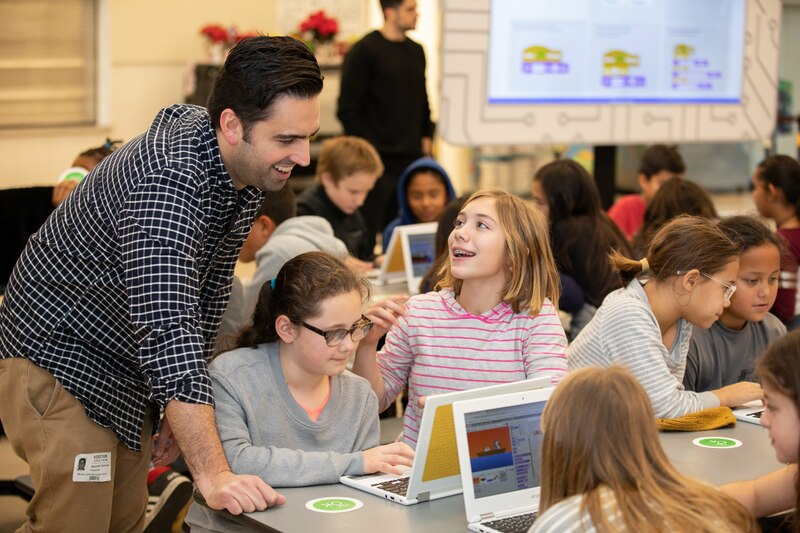 To participate in a free coding class at Google’s Digital Village, parents/guardians must pre-register here. Limited on-site registration may be available, but is not guaranteed. Note: Parents and guardians must accompany children at the coding workshop. While you’re hanging out at the Google tent, check out their gravity-powered race car and when you’re done exploring, share all the fun with friends at home in our custom Google photo zone! Food and drink is available for purchase on site from a variety of food trucks. Complimentary water is available at stations throughout the Expo. Limited seating is available at the Power Up Zone and on scattered tables throughout the park; we recommend bringing a picnic blanket! 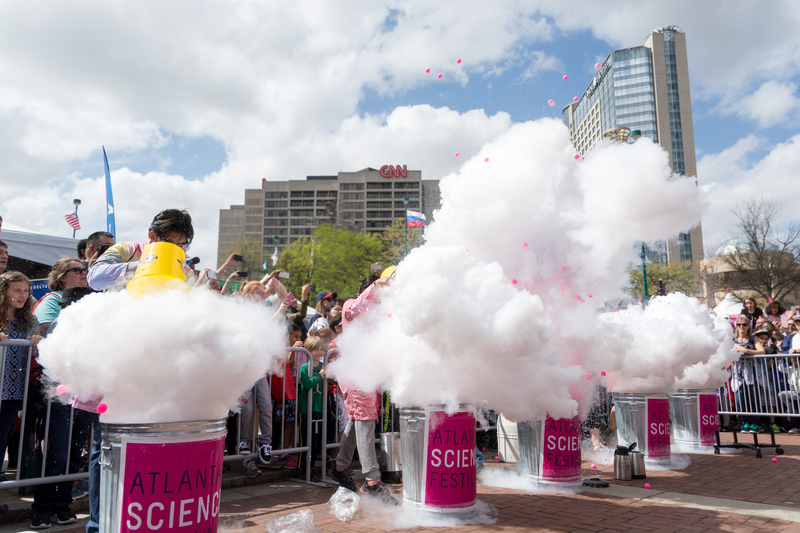 Share the flyer, and follow, like, tweet away with @AtlSciFest and #AtlSciFest. Sample tweets and email content is available here. 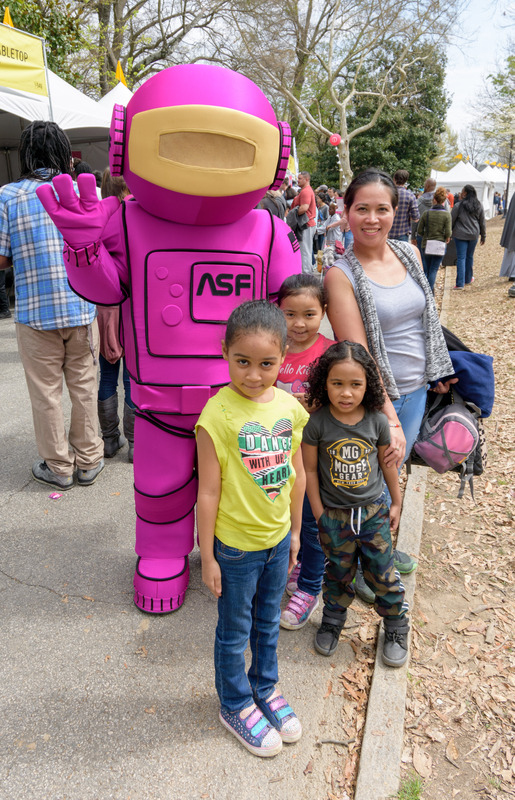 This event is rain or shine, so bring your umbrellas and galoshes, and prepare to experience the joy of science while atmospheric water vapor condenses into liquid water droplets and falls under gravity. In the case of severe weather (>30mph winds, lightning, tornado, etc. ), stay tuned to our website and social media channels for event status updates. All pets, including dogs, cats, snakes, birds, pigs, etc., are prohibited in our festival area – leash or no leash – unless part of a planned festival program or assisting persons with disabilities. This is for the pet’s protection as well as for the protection of festival patrons. See City of Atlanta’s guidelines. You may enjoy the other parts of Piedmont Park with pets, per the Piedmont Park’s guidelines. 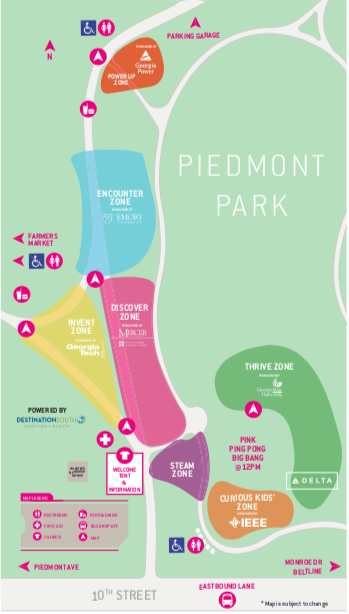 The Expo will take place in Piedmont Park near the intersection of 10th Street and Charles Allen Drive – see map. Last year’s event drew over 20,000 people, so it’s going to be crowded and parking will be limited. Please consider MARTA, taxi, carpool/rideshare, Beltline, etc. MARTA – use Midtown stop, and walk east along 10th Street into the Park.